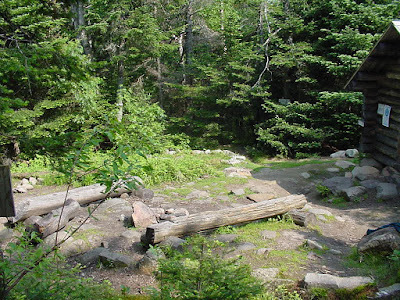 AMC Trails Blog: If you plant a tree, it will grow.....even in a fire pit. If you plant a tree, it will grow.....even in a fire pit. Last week I did something I've never done before: I clipped back the branches of a tree that a caretaker had planted, at Carlo Col campsite in Maine. 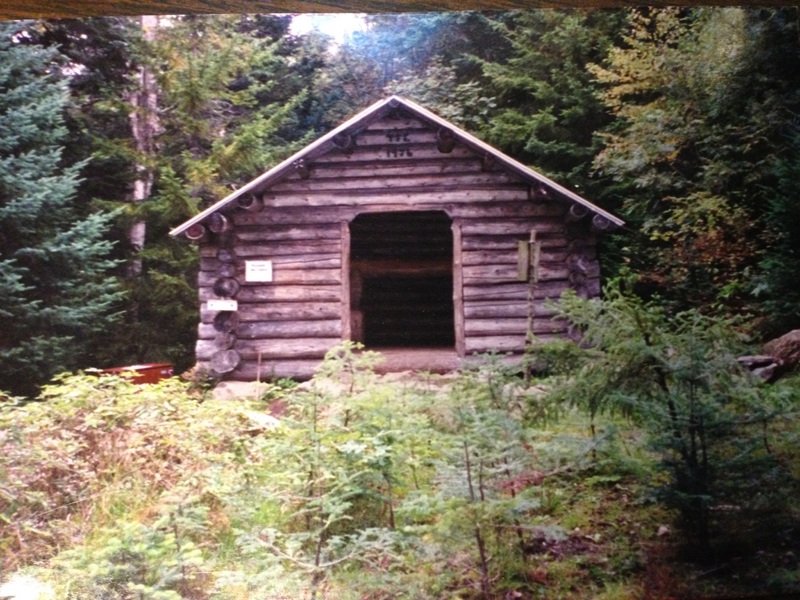 Many of our AMC White Mountain Campsites have been hosting human use for a century, and Carlo itself has been in use since the 1930s, with the original shelter giving way to the current one in 1976. As a result of this long history of use, much like our trails, associated impacts result: hardened areas where people tend to pile their packs next to platforms, shortcuts throughout the sites, and also open areas in front of shelters where people just tend to congregate. It doesn't take many steps or backpacks to eliminate vegetation, erode organic soil, and sometimes bring things down to the level of mineral soil. Part of the role of the caretaker as a steward of these sites is to reclaim and rehabilitate impacted areas. Since the very inception of the program, the approach has been through transplanting saplings into impacted areas (or 'revegetation'). 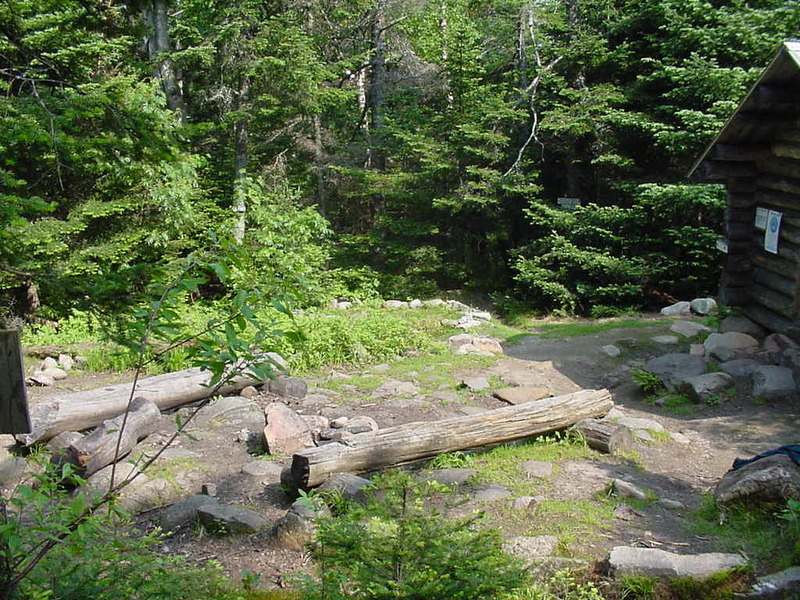 This approach works, evidenced in extraordinary ways at sites like Ethan Pond or Kinsman Pond, but especially so at Carlo Col.
Let's start with the before: opened hardened area, fire pit (illegal), benches, all much more space than this low-use campsite really needs. 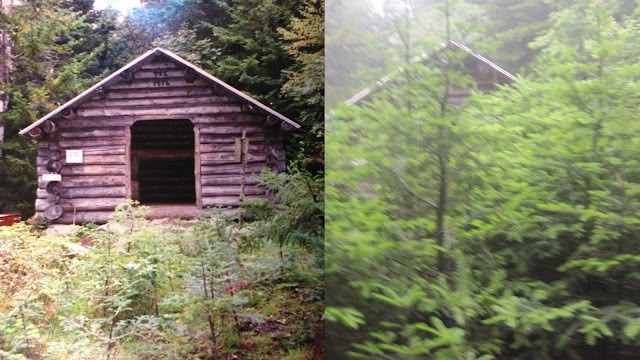 Also, we've found that impacted areas such as this one tend to attract even larger impacts: stripped-down trees for kindling, trash piled under benches, and....well....sometimes it's best to stop there. Let's jump ahead to 2003, when the Mahoosuc Rover ( a roving caretaker responsible for Trident, Gentian, Carlo Col, and Full Goose) undertook the work of rehabilitating that large area. He built scree walls, backfilled it with organic soil, and then went in search of the 100 or so trees he needed to fill the area, eventually finding an area he could harvest them from almost a quarter of a mile away from the site. The process took multiple days, and also involved the enrolling of a camp group that was there at the same time. However, like much meaningful work, the impact has been long term, and the Rover who did the work is of course not working for us anymore, as the years turned to a decade. What does revegetation look like 10 plus years later? It looks big enough to cut back. These pictures above and below were taken in 2013, so I will report that in 2015 the trees are now almost as tall as the shelter ridgepole itself. I made the error of heading into the field without my camera, so you will have to take my word for it. Some of the trees had started growing into the spur trail that leads towards the shelter, hence why I was clipping them back. Revegetation as viewed from the front of the shelter, 2013. There are so many metaphors at work here, about the passing of time, of what it means when we say we are 'working for the long haul,' and of literally showing that a planted tree does grow.